In addition to designing dramatic floral arrangements for vases, Joshua Werber uses an unusual substrate: his head. The Brooklyn-based designer’s ongoing series #FloralTeteATete focuses on just one or two flower types at a time. 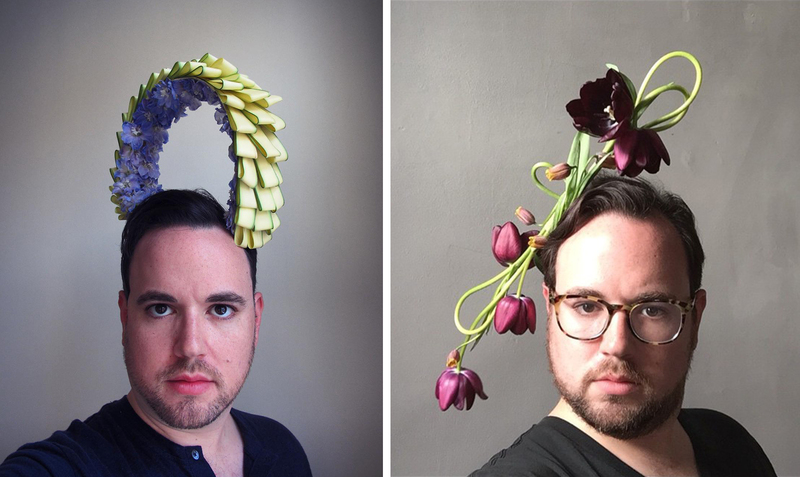 Using the blossom’s natural shapes, colors, and angles, Werber creates wearable sculptures which he then documents in unassuming selfies. Werber has been sharing his weekly creations on Instagram since 2014, but of late has gained quite the following. Recent collaborations include the New York Botanical Garden and Brooklyn Botanic Gardens.